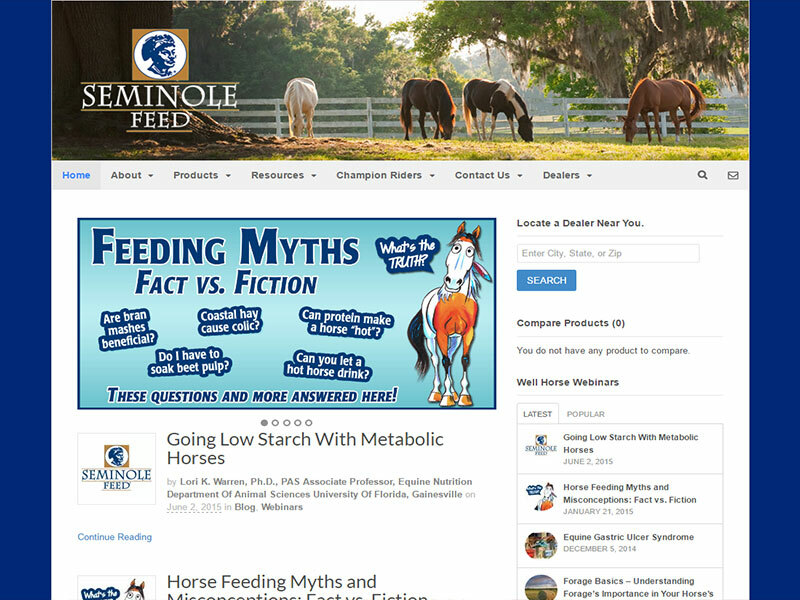 The goal of Seminole Feed® is to provide the World’s Best Equine Feed. Horse Nutrition is their first priority. Seminole uses a fixed formulation for making all feeds. They do not use low cost feed fillers, but only the finest ingredients for their feeds. They use the strictest quality control measures when making horse feeds and supplements. Because of the superior formulations and the high quality and digestibility of Seminole Wellness® horse feeds, they can typically be fed at smaller amounts than other products on the market. This allows the horse to consume less grain and more forage, ensuring a healthier digestive system.